Ms. Leblein recently received her Juris Doctorate from Seton Hall University School of Law. Prior to joining the firm, Ms. Leblein completed a Judicial Clerkship in the Criminal Division of the Morris County Superior Court. 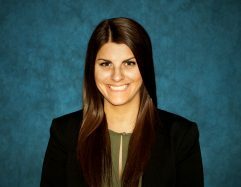 During law school, Ms. Leblein interned with the Passaic County Prosecutor’s Office and a boutique law firm, which specialized in civil litigation.